Before you freakout at that title, understand that the idea of Google Now is very much still in the Google App, it’s just that Google doesn’t appear to want to refer to its services any longer as “Now.” Well, at least that’s what the new Google App beta is leading us to believe. Last night, Google pushed out an update to beta testers of the Google App. 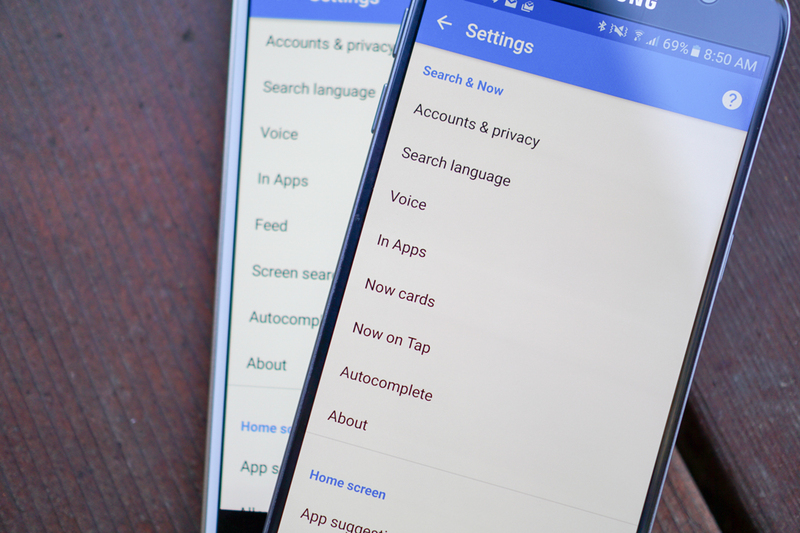 For the most part, we aren’t seeing any major changes, but if you go into settings for the app, you won’t find “Google Now” mentioned anywhere. For example, “Now cards” has been switched to “Feed” and “Now on Tap” is now known simply as “Screen search.” You may recall that Google Now has been one of the most important and innovative software features that Google has ever released to mobile, so to see the brand or name of it disappear is odd, to say the least. But let’s think about this for a second. If Google Now, the name, is going away, why would Google do that? My guess is that they are going to switch the focus (or at least condense it) in the very near future to Google assistant and a just a Google experience. If you have Google Now, Now on Tap, assistant, Pixel Launchers, and who knows how many other brands within brands or software names within software names, it’s tough to really focus on the big picture, which is Google. It would be much simpler if Google just said, “This is a Google experience and you can do all this awesome sh*t with it, like check out a feed of automated awesomeness and do screen searches!” Maybe? Or maybe Google is just being Google. For now, though, since this is only a part of the beta, we aren’t getting an announcement from Google on why they have changed the names or if they are planning to roll this out to stable. Also, you can still jump into Google Now your “feed” to see all of your cards or long-press your home button to get into Now on Tap. In reality, nothing has really changed outside of the names. Cards are still cards within your feed and Now on Tap works exactly the same, it’s just called “Screen search.” I should point out that Google App support across the web still has plenty of mentions of “Now” as well, so this name change, probably because it’s only in the beta, hasn’t migrated elsewhere. On a related note, the new beta offers up a shortcut to help you perform Google’s new In Apps searches. We first saw this shortcut on the LG V20, but now everyone can have it if they sign-up for the Google App beta. To grab the shortcut widget, head into Google App settings, tap on “In Apps” and you will find a “ADD” shortcut button at the top of the screen. Tap that and enjoy your new shortcut. Is it just me or does it feel like Google is on the verge of making a whole bunch of major changes?